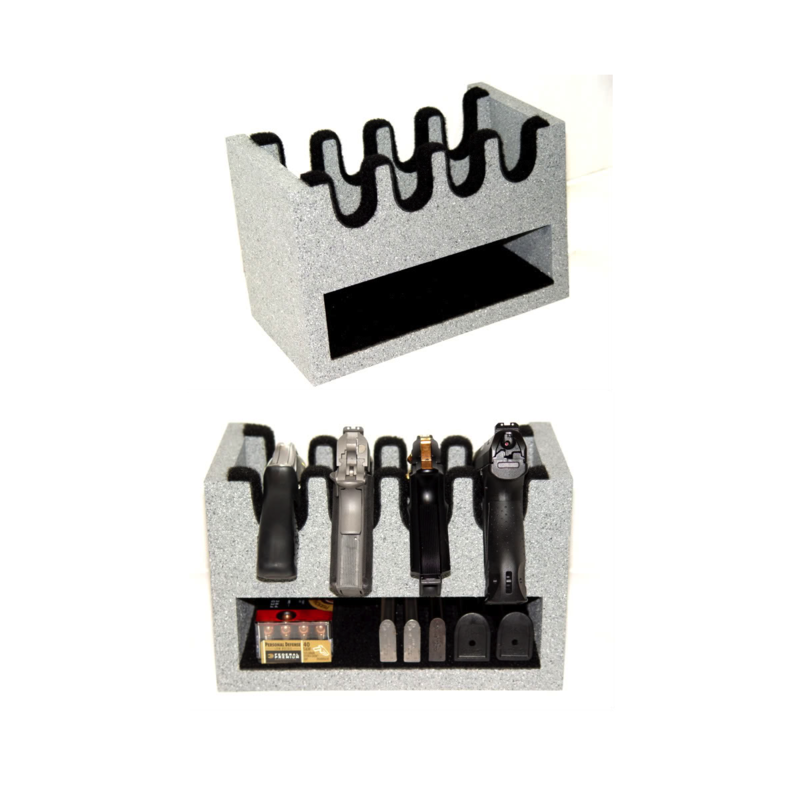 The most efficient, functional, and aesthetically pleasing handgun storage system on the market. 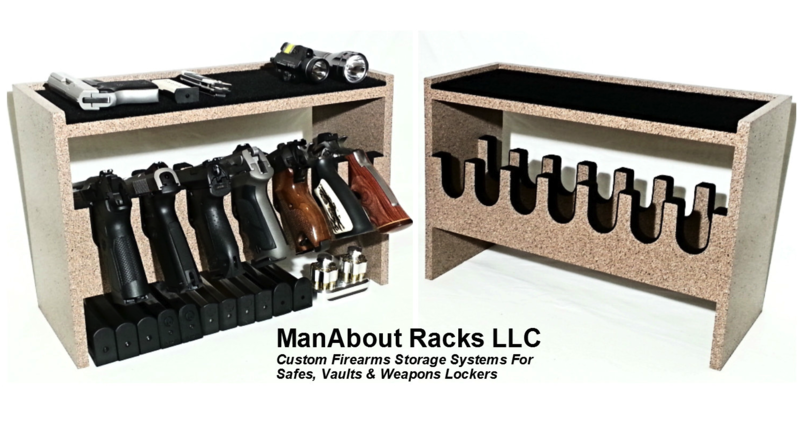 ManAbout Racks Are Available In Various Configurations, Styles, & Sizes. 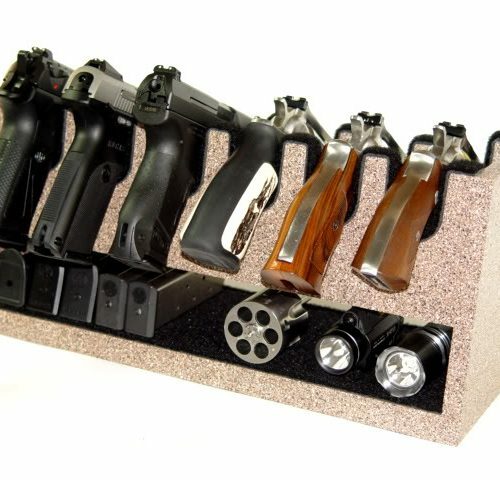 Standard Camelrock gun rack built to hold 7 guns, no storage. 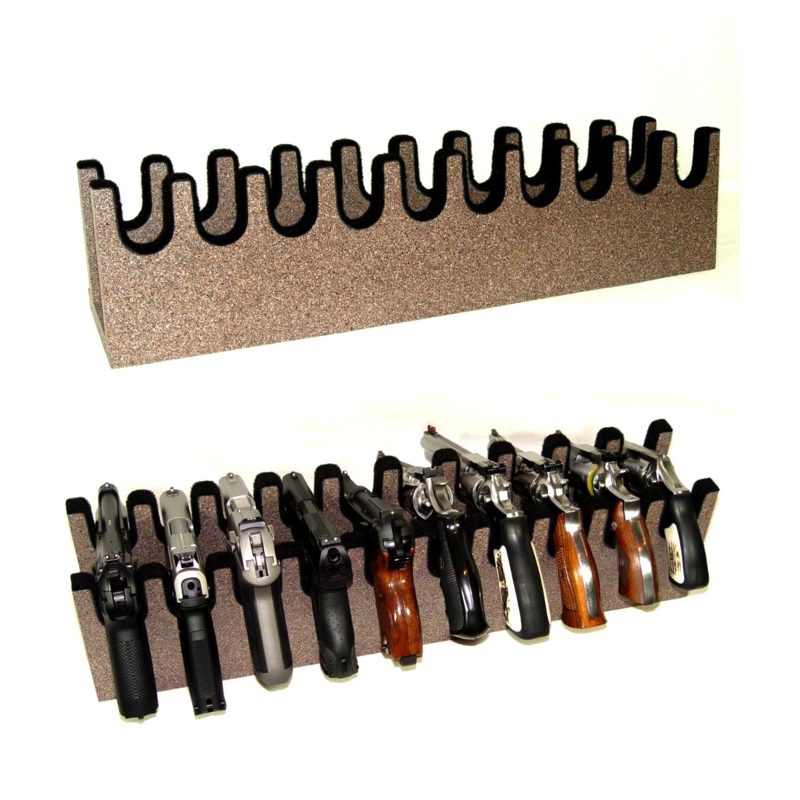 Camelrock horizontal gun rack built to hold 10 guns, no storage. 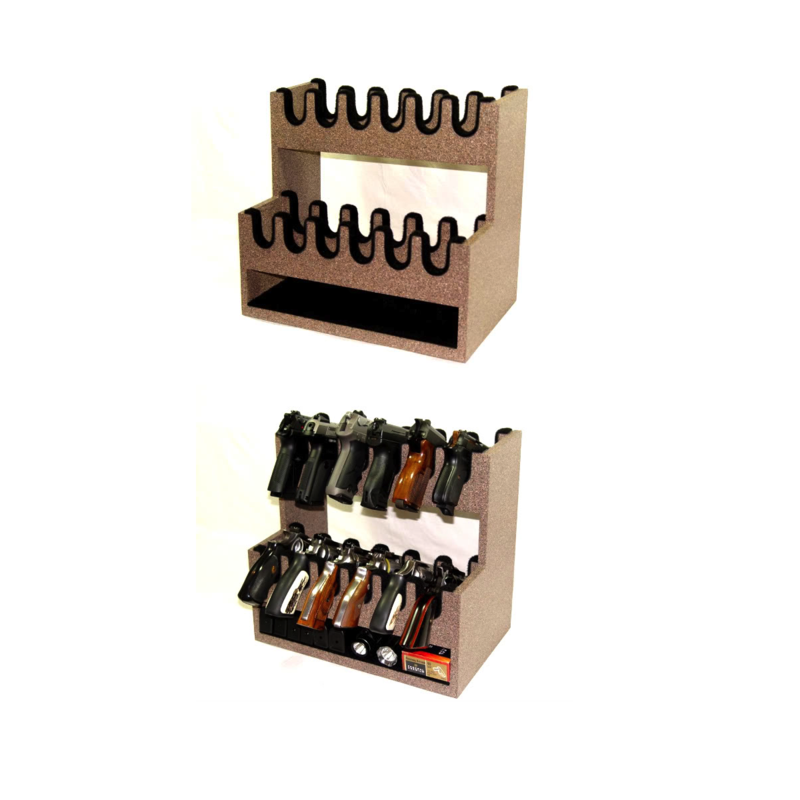 Semi auto's or Revolvers, the racks store both equally as well. 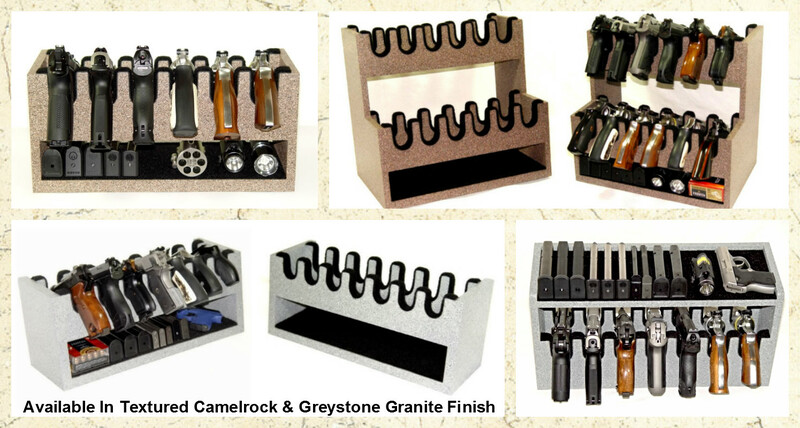 The Greystone & Camelrock Racks have an aesthetically pleasing look & feel of granite stone. 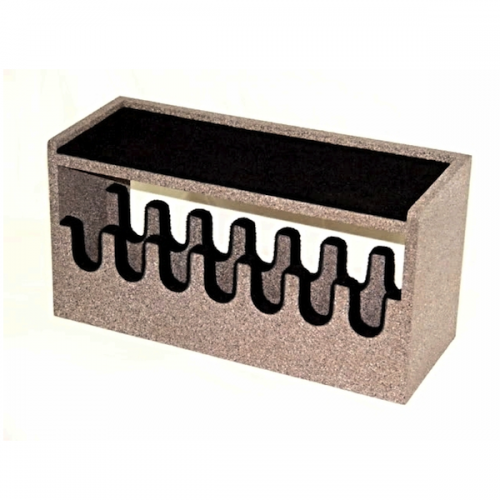 Textured and finished out in an acrylic clear coat for durability & protection. 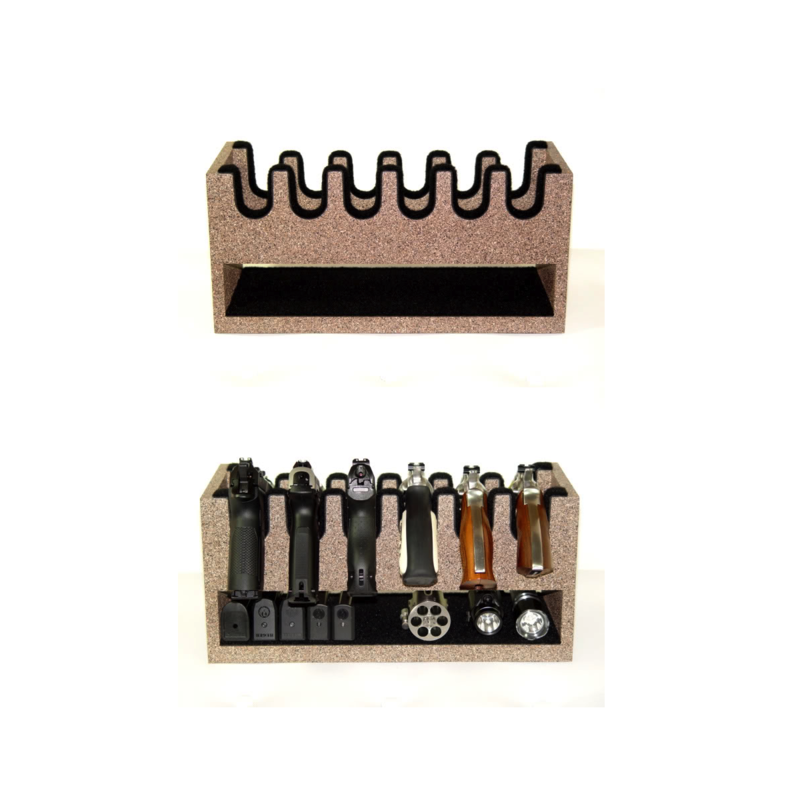 From the selection of materials, to the milling, assembly, sanding, finishing & padding installation, each rack is built with attention to detail and built to last. 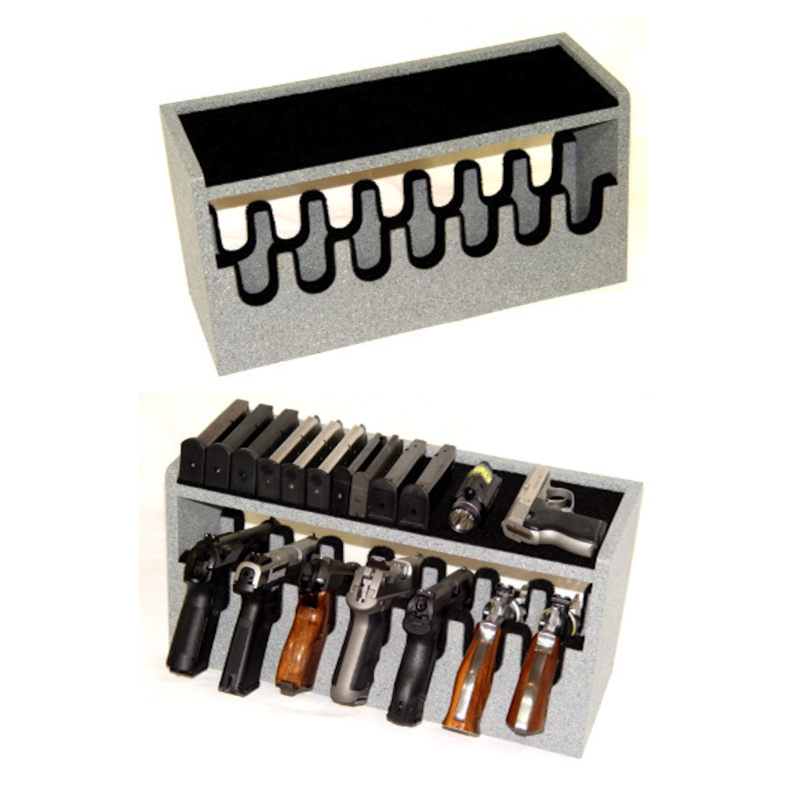 The handgun racks fit all semi autos except the Desert Eagle Mark IV & XIX and mouse (pocket) guns. 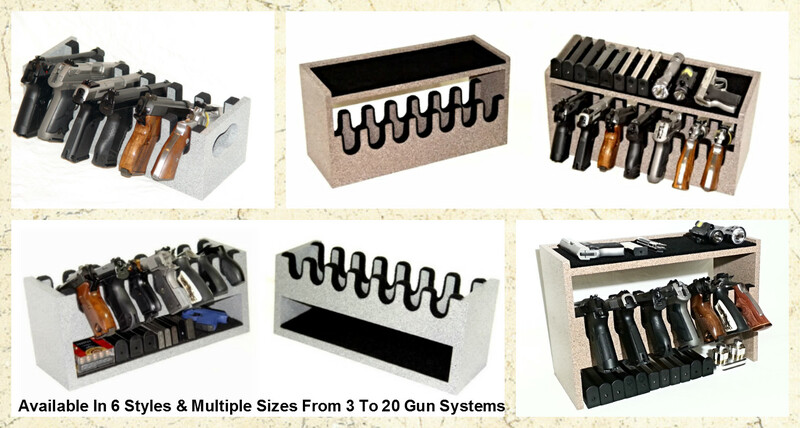 Fits small, medium and large frame revolvers up to 357 magnum. 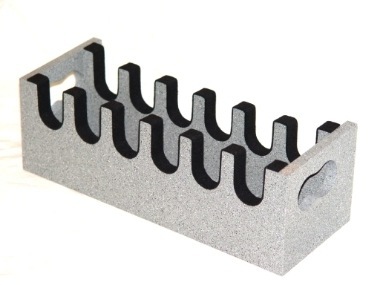 Custom made racks or modifications can be made for the large bore revolvers such as 44 magnum, 454, 460, 500 and the full size Desert Eagles per request. 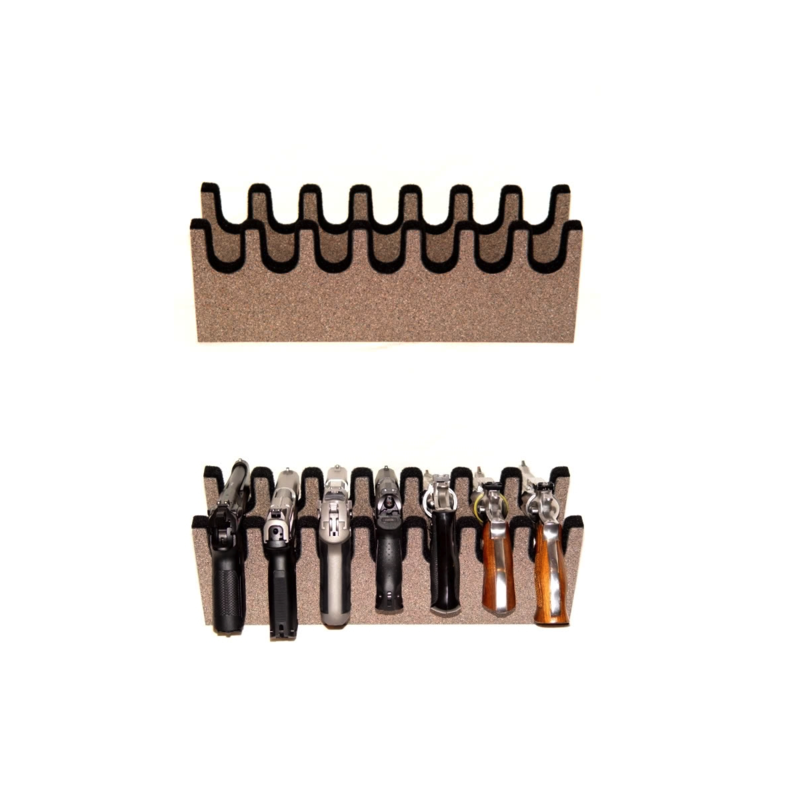 Please contact me if custom or modifications are needed as this will change the dimensions of the racks slightly. 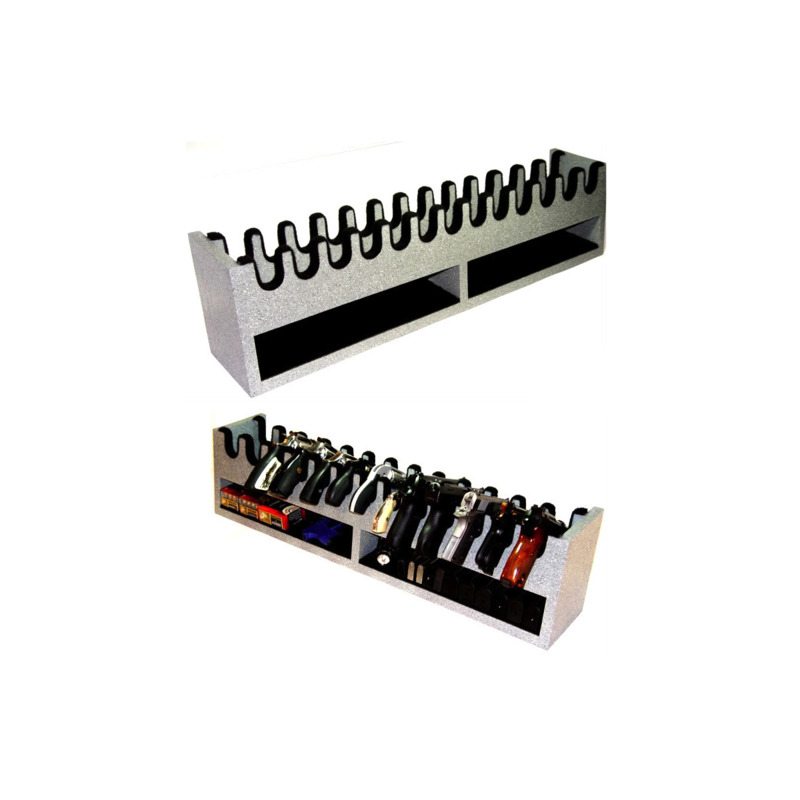 Due to the volume of orders being received and the amount of orders currently in the system, all gun rack orders are presently at an estimated 4 to 5 weeks lead time for completion. 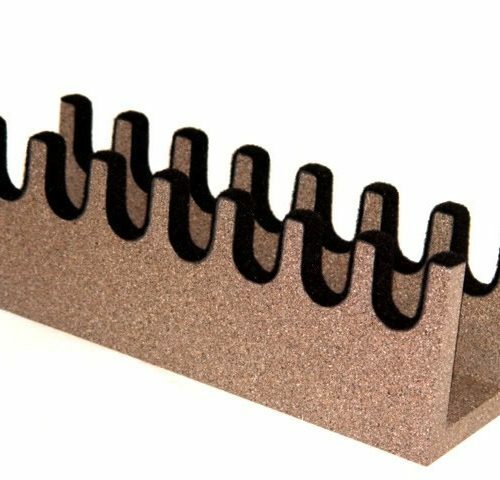 For shipping purposes, orders of four (4) or more racks will need to be ordered into two different orders with a maximum of no more than three (3) racks per order form. 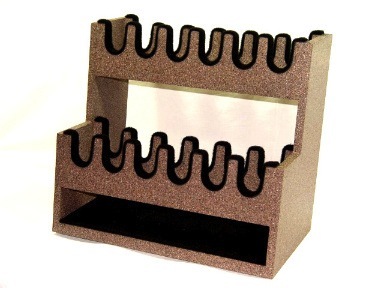 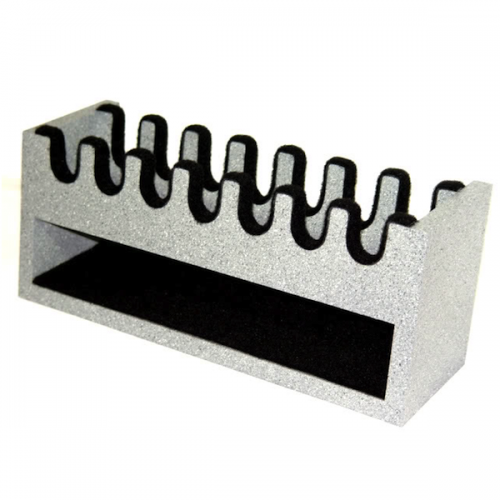 The racks are shipped fully built and completely assembled, The packages can be large. 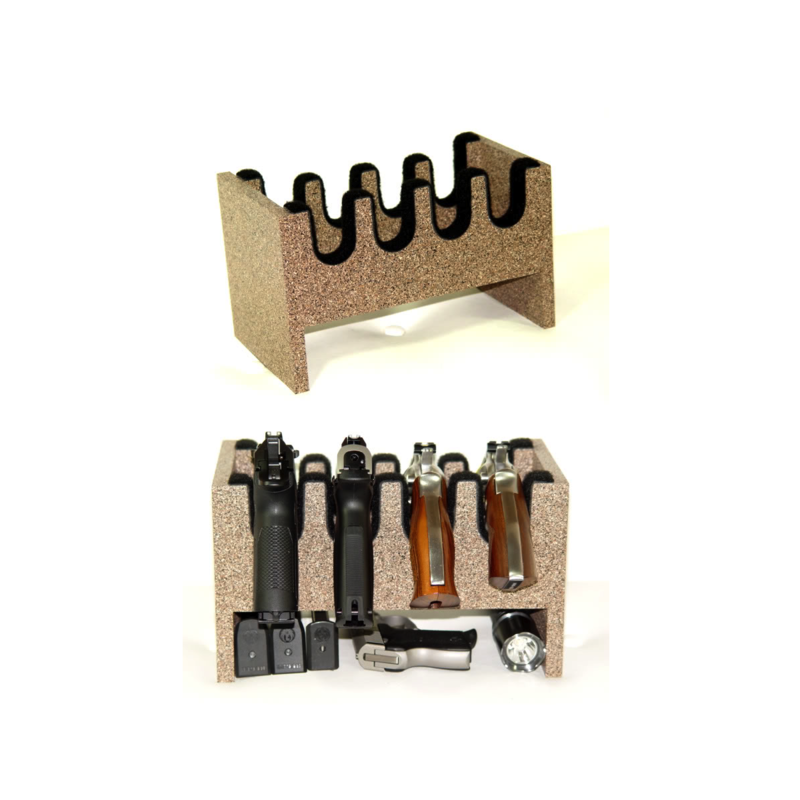 We only ship in the 48 Continental United States. 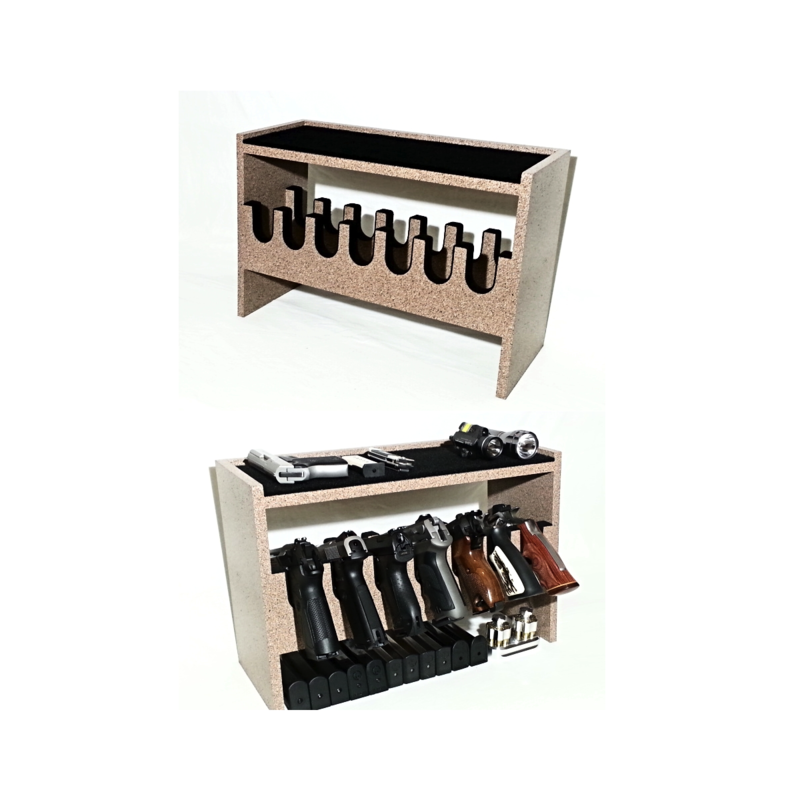 All of the materials used in the construction of our gun racks and storage units are purchased locally and made in the USA. 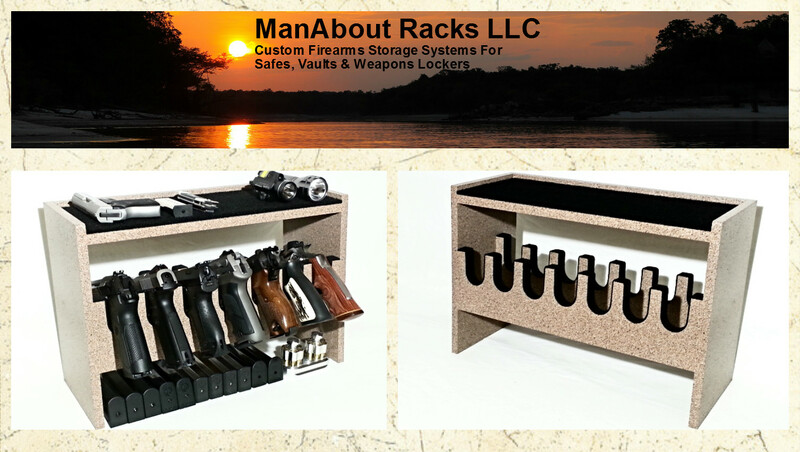 The handgun storage systems are made in my small shop located near the south shore of the Alafia River in Gibsonton, Florida.